Ed and I were talking about this scene the other night, and how great it is. 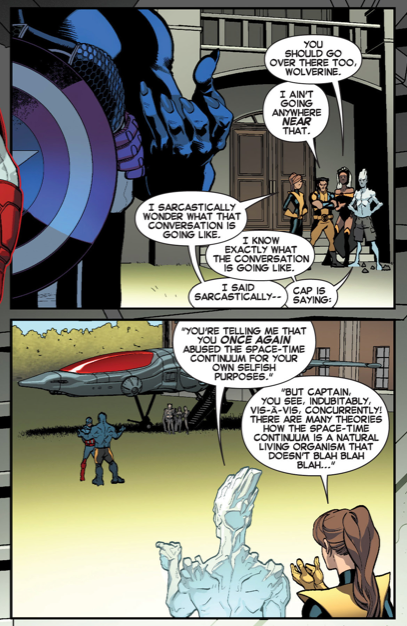 Present-day Bobby and Kitty are mocking Captain America and Beast, and each character’s personality is just nailed perfectly. Excellent writing.